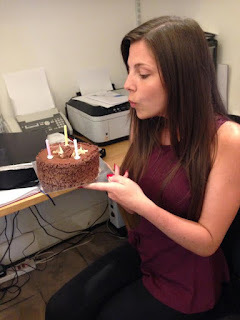 It's Staceys birthday today so we thought we'd share a picture of her with her birthday cake! Happy Birthday Stacey! !